Urban planning is the most challenging form of leading the masses. Implementing a vision in an environment where a variety of “common goods” compete over the same space. Ville Blåfield took a long look around him in New York’s Central Park and listened to what urban planning experts had to say. On the corner of Manhattan’s 57th Street and 6th Avenue, a rather shaky looking pile of boards is being hoisted up into the heights. Yet another scaffolding-covered premium property getting a new lease of life. With its 8.5 million residents, New York is a non-stop construction site. The city develops constantly, Manhattan’s old grid serving as a platform for new ideas. Well, not the entire grid. One of the landmarks of contemporary urban planning is situated just two blocks north of the shaky pile of boards. A magnificent idea (and investment) that has pointed the way for similar sites all over the world. Namely, New York’s 340-hectare Central Park. With each step, the sound of traffic and honking horns disappear. Suddenly there’s birdsong, and the closer you listen, the more exotic sounds stream through the ears. As many as 235 different bird species have been found in Central Park. The park has 19,000 trees, and iconic buildings tower behind: over there a sign on the roof of Essex House, there the glamorous Grand Central Hotel. The park stretches without interruption all the way from 59th Street to 110th on the edge of Harlem. As far as land prices go in Manhattan, the area has been valued at about 40 trillion dollars (that’s forty followed by twelve zeros). But of course the true value goes far beyond and cannot even be measured in money. In fact, the question is irrelevant, as the park’s value is based on the fact that it will never be sized up for construction. Central Park was not included in New York’s first plan, the Commissioner’s Plan from 1811. The idea for the city’s lungs arose during the following decades, when the number of residents rose exponentially between the 1820s and 1850s. The argument behind the plan for Central Park was to create “a much-needed refuge”. Architects Frederick Law Olmsted and Calvert Vaux looked to London’s Hyde Park for inspiration, but in the end Central Park became something far bigger. Construction began in the mid-1800s, and from the very beginning the park included several ponds and 36 bridges. Sheep grazed in Central Park since the 1850s, but during the Great Depression of the 1930s it was thought wisest to move them elsewhere for fear they would end up slaughtered by starving city-dwellers. The plan for Central Park being put into practice and the park surviving undivided until this day is proof of the possibilities of visionary urban planning. A vast public green area sprawling across the most expensive piece of land in the world shows that at best urban development can be steered by something other than money. An ambiguous concept in itself. “It is very difficult to manage a city,” says Aija Staffans, Senior Research Fellow at the Department of Built Environment at Aalto University School of Engineering. And the job is even harder now that society is more open and takes part in the discourse. Listening to residents, neighborhood democracy, and a genuine involvement of inhabitants are fine values in themselves, but do make visionary leadership even more difficult. No hero architects get to dictate their plans anymore. “Implementing an urban vision is no longer in the hands of a select few,” explains Staffans. It’s what makes urban planning such an interesting illustration of modern leadership. How to steer the masses in the desired direction – or get them to accept your vision? Which values are allowed to steer decision-making – and whose interests should the main idea, or “common good”, address? “A hard dilemma in urban leadership today is the requirement to be a strong visionary while extensively involving residents in the discussion,” Staffans says. Urban planning also involves different, competing levels of the vision. The mayor can have a political and the architect an artistic vision of the city, while the vision of residents is personal and tied to how the city can serve each family. “It is also down to a different management theory; a differing view on whether a city should be created together or according to some daring plan”, Staffans states. In the Nordic countries, the process is very democratic – and very political. “We have a long and strong tradition of representative democracy and corporative culture, and the processes of urban planning are closely connected to those structures,” Staffans describes. Here and there, the green benches in Central Park are adorned with memorial plaques. That bench is devoted to the memory of Ed Mady, the one over there to Daniel T. Sweeney. A bench dedicated to Mike and Lauren is engraved with the words “I love you to the moon and back”. Families relax on picnic blankets across the lawn, while benches are occupied by people taking a moment by themselves staring at a book, newspaper, or cellphone. Wherever you look, it is easy to sense what an important haven this is for the city’s residents. Since the rough 1970s and 1980s, the park has been efficiently ridden of crime to an extent that it now looks like straight out of a family movie by Disney. “Faster!” a dad spurs his son who cycles ahead of him in his green helmet, as they whizz past. 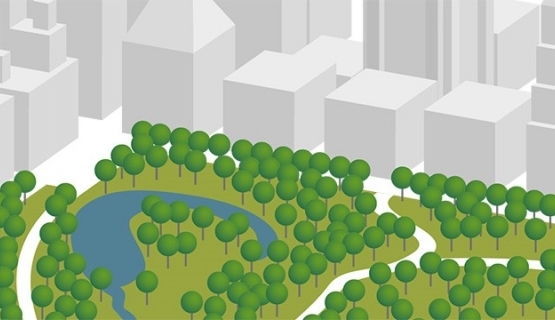 “Central Park is the American equivalent of an Italian or Spanish piazza,” illustrates Timo Heikkinen, Solutions Director at Aalto University Professional Development. Among other things, he is responsible for Aalto PRO’s longest running program, "YTK:n Pitkä kurssi – Expertise in Urban Planning", which has been arranged for experts in the field already since 1968. “The popularity of piazzas isn’t down to people being so hugely social, but to a genuine need for those types of spaces. The starting point for an Italian piazza is far less glamorous than meets the eye when thinking about those wonderfully bustling squares and cafés. A much-needed refuge, as was the argument in the early 1800s. Timo Heikkinen compares Central Park to Istanbul’s Gezi park, where locals demonstrated as they heard the plans for a new bridge that would have meant slicing off a section of their beloved park. Going against a one-off construction project flared up into a wider movement against the entire government in 2013. Urban planning was seen as just one example of an autocratic, corrupted political system. In fall 2016, people in Helsinki have been engaging in a lively debate around Helsinki’s own central park. The city’s new master plan would allow construction in a small forested section of the park, and once again, a city’s residents take to defending their recreational area. “The same logic applies to why touching Helsinki’s central park immediately aroused emotions. Every city has certain sacred areas for residents,” Heikkinen says. The challenge of urban planning is that although representative democracy allocates city management as the task of a few, that responsibility is not autocratic nor does it involve ownership. A city will always be common ground for residents. It is easy to understand the fear of residents. Daring urban planning has caused a great deal of destruction around the world. Sites with historical value that residents have loved have had to make way for new builds and traffic routes, and history has many stories to tell about decisions that have been violent to say the least. Heikkinen reflects on how the exponential rise in the number of cars has shaped the use of space and appearance of cities since the 1950s. Helsinki is also an example of a city where traffic planning is following a brave vision. Whether that vision is right or wrong is under constant political discussion, but the power relations between the city’s political decision-makers have enabled to drive a single chosen strategy forward. The city’s heavily trafficked entry routes will be transformed into city boulevards that favor public transport, and new bridges intended solely for public transport, pedestrians, and cyclists are underway. The green trend that supports rail transport and cycling has, however, also come under attack for a predisposed aversion towards private motoring. Who knows if cars will be totally emission-free in a decade or two! However, this argument ignores one of the key elements in urban planning: space. Although hundreds of blocks of premium housing could fit into Central Park, the space continues to be a green oasis. This is a significant value choice; space in itself is after all so valuable in a city. The way space is used is a question of values. In urban planning, the ethos of private motoring has had the biggest effect on the use of space. Freeways, traffic lanes, and parking lots eat up a huge share of urban areas. And even if vehicles would be totally emission-free and driven by robots, they would still take up the same amount of space on a congested freeway. “In Holland they already realized in the 1950s that having more and more cars simply won’t work. This coincided with car accidents where children died, which gained wide attention in the press, and influenced public opinion. Dutch top officials hopped onto their bicycles,” Heikkinen describes. “Dutch officials reclaimed Amsterdam’s streets for bicycles, and active efforts were taken to restrict driving. There, the limit had been reached already half a century ago. Aija Staffans from Aalto University reminds that in urban planning, decision-making centers on the relationship between conserving what already exists and building something new. Who has the power to decide what is worth preserving? For decades, a school of thought ruled in Finland that did not have much appreciation for older properties. Staffans reminisces on her own childhood in the small Finnish town of Hämeenlinna in the 1960s and 70s, which began to carry out a strikingly modern master plan in the 1950s. Old areas of wooden houses were destroyed to make way for new construction, and plans went as far as including helicopter pads for new residential areas. As far as historical layers in urban planning are concerned, there are country-specific cultural differences. Trends have been different already in neighboring Sweden. Staffans compares Finland’s western coast and Sweden’s eastern coast on the other opposite shores of the Gulf of Bothnia. Umeå in northern Sweden put a stop to cutting-edge plans arising from Stockholm to modernize its city center. This is where we arrive at the core of urban planning: in order for a city to be interesting to visitors and investors and a good place to live, it must be loved by its residents. Only cities loved by residents stay alive. “It’s a question of understanding cultural values. Are we able to create urban space that reflects the city’s residents, and address their needs?” Staffans asks. Maybe the wisdom lies in realizing these are not opposite forces. Staffans calls for cities to be bold enough to look for answers in their own character, history, and where residents actually spend their time. Wow factor architecture and skyscrapers may not be the answer for every capital city in the world despite their crowd-pulling power. The appeal of Berlin and traveler favorites Amsterdam, Copenhagen, and Portland in the U.S. are fine examples of how a unique environment that resounds with residents cannot be built by copying. The charisma of those areas is down to the unique character and layers that reflect residents. Reasonable house prices and work spaces have turned Berlin into a mecca for the creative class, and artists have added an allure (and unique aesthetic) to the city that is also appreciated by others. Amsterdam and Copenhagen are famous for their bikes, and Portland for a new type of community spirit among cultural pioneers – let’s abstain from using the word hipsters. The strategy created in New York in the 1800s has proven to be a success. The city is loved by travelers, investors, and residents themselves, not least thanks to undulating Central Park. At the heart of Central Park, the pedestrian path takes a dive under Driprock Arch. Above it is the only vehicle road that transverses the park. But cars do not create too much of a disturbance; right there, in the middle of Manhattan, a lady in a suit is taking a nap under a tree probably on her way from work. Underneath the bridge, a violinist wearing a black leather jacket plays Adele’s hit Someone like you. This is one of the long form articles in Aalto Leaders' Insight - magazine Vol. 5. Currently reading: Aalto Leaders' Insight: What makes some cities rise and others fall?